With more devices in the classroom, schools are constantly looking for new ways to streamline the management and security of devices. According to Microsoft , over 90% of schools use shared devices, with unique demands to set up and manage these devices. Plus, educators face more demands than ever before, with nearly 50% of teachers serving as their own tech support in classrooms. Microsoft’s Intune for Education offers educators a simpler way to deploy and manage classroom devices. Intune for Education is a cloud-based management solution that is administered through a web-based admin console. It allows educators to easily deploy and manage Windows 10 classroom devices and apps over the Internet from a web console. 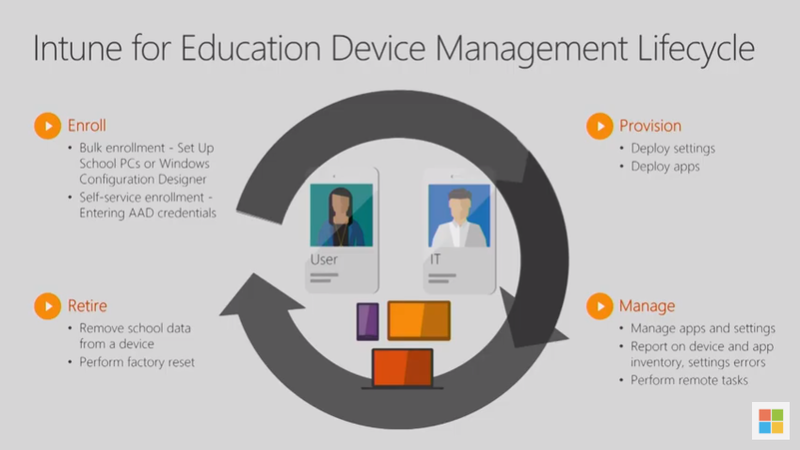 Intune for Education supports the end-to-end device management life cycle, including enrollment, provisioning, management, and retirement. Enrollment: Choose between bulk enrollment or self-service enrollment. Provisioning: Quickly deploy settings, policies, and apps to specific groups (classes, students, teachers, sections, schools), so the device is ready for students to use. These settings follow the user to any device when they sign in. Manage: Easily manage devices, apps, and settings over the Internet; report on devices; and perform remote tasks (syncing or restarting the device). Retire: You can easily remove school data or perform a factory reset when necessary. The obvious benefit of Intune for Education is how it simplifies the setup and management of devices. 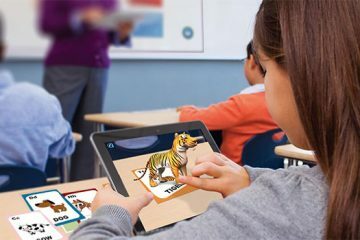 With zero touch management, schools can quickly deploy apps and settings to students and educators without even touching their devices. Another benefit of Intune for Education is that it is integrated with Microsoft education software and services, including Office 365 Education. Additionally, it can be integrated with School Data Sync, so you can automatically create groups in Intune for Education. This makes it even easier to apply apps and settings to specific groups, students, teachers, classes, or sections. It also helps keep school data secure because you can control how students access information and easily apply school security requirements to devices and apps. This allows schools to create a safe learning environment and ensure compliance and privacy across all devices. Intune for Education was recently updated to support iOS device management, so now you can easily manage iPads and other devices from one platform! Want to learn more about Intune for Education? Curious if this management solution would benefit your school? Give the experts at RTI a call! Providing IT support for education is one of our specialties. Our education technology specialists and skilled engineers are experienced in designing, integrating, and managing learning environments.